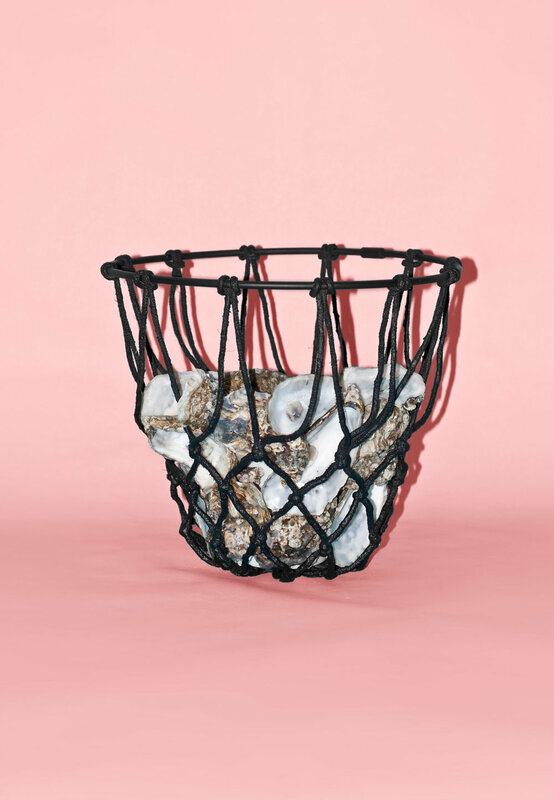 The mesh of an old basketball basket is dipped into a resin and becomes stiff while hanging. Each basket is a unique piece. When James Naismith invented basketball in 1891, he fixed two peach baskets to the walls of a gymnasium. Within this historical context the re-use of the basket just seems natural. Using the modern basketball basket as a base for a new fruit, laundry... basket is just a logical reverse and a quotation of history. Furthermore it is a tribute to the recycling of an old disused object – Upcycling. 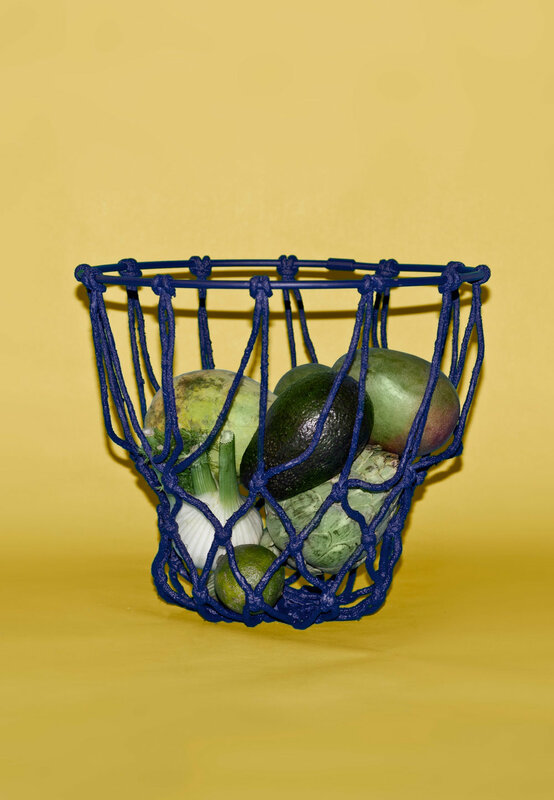 To offer the the earlier product Naismith Baskets in a bigger quantity and for a more affordable price, an edition out of new hoops and meshes was created available in four different colours.